In an attempt to lessen the heavy caseload in New York criminal courts, the NYPD will no longer be arresting people who commit minor offenses, such as quality of life offenses or riding between subway cars. Under the new policy, police officers will be allowed to use their discretion and if the offender poses no threat to public safety a criminal summons will be issued. Officials say it will eliminate up to 10,000 cases per year. 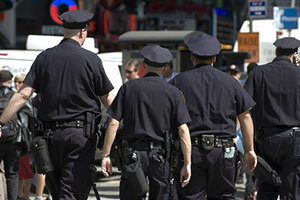 It will also likely impact the number of false arrest lawsuits filed against NYPD. In addition, Stop-and-frisk numbers in New York City continue to drop from the record high of 685,724 in 2011 to only 22,564 in 2015. This comes as the court appointed monitor for police stop-and-frisk litigation has submitted recommendations on police procedures for officers that patrol private buildings under the Trespass Affidavit Program. The monitor’s recommendations establish that just being present in a building is not enough to establish reasonable suspicion for officers to search individuals. Further, the New York Court of Appeals has recently upheld City Law 71, which expands the group of protected classes against racial and ethnic profiling by the NYPD, while also allowing those victims of profiling to file a complaint against police officers. The local law was challenged by the Patrolmen’s Benevolent Association, but the Court unanimously rejected the challenge and upheld the law. Despite these recent changes, two new NYPD scandals have been revealed. Two NYPD deputies were recently arrested for receiving over $100,000 in bribes and benefits from a prominent Brooklyn businessman in exchange for being his private task force. In addition to this scandal a separate scheme was brought to light whereby two officers arranged to sell expedited gun permits, disregarding background checks and criminal records, in exchange for cash, alcohol, and limousine rides. Further, the City agreed to pay $2.3 million to settle the claim of Jose Flores, who was hit by a motorized scooter that was operated by a police officer. The officer then issued Flores a summons and fabricated an incident report, stating that Flores was jaywalking. In addition, Flores was denied medical attention for about 36 hours while at the precinct. Video surveillance then emerged that confirmed Flores’ version of events and revealed that the police officer had deliberately falsified evidence. If you have been the victim of false arrest, fabrication of evidence, or any form of police misconduct, including excessive force or false arrest, you should contact the attorneys at PetersonDelleCave LLP.